Its main goal is to promote the concept of the German Passivhaus standard protocol – which was developed for cold climates – and also its advantages when applied to hot climates. This article presents the standards of the Passivhaus protocol as they apply to hotter climes. Some of the basic concepts of the Passivhaus standard are described here for those who are not familiar with them. Firstly, Passivhaus is not a brand but a design protocol for buildings which was developed in Germany in the 1990s. The protocol was introduced with the goal of reducing the energy consumption during Germany’s harsh winters without compromising on an optimum level of indoor comfort. In technical terms, the protocol requires the design and construction of “passive” houses which annually require not more than 15 kWh per square meter of energy for heating. 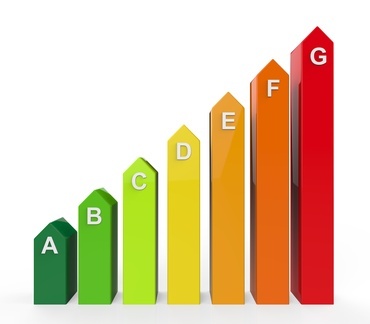 Thanks to these buildings standards developed by the Passivhaus Institut a house can be made to a more convenient and comfortable standard than those built, for instance, according to the Italian law on the rational use of energy, energy conservation and development of renewable energy. In fact, while having the same indoor comfort as a traditional house, a passive house requires approximately 85% less energy per year (including electricity usage) so that the total annual consumption does not exceed 120 kWh per square meter. So why should a “German” standard be adapted to hot climates? The answer becomes evident from an analysis of the free heat contributions to the indoor environment. In winter, the free additional heat sources can save fossil energy and contribute to the indoor comfort while, on the contrary, in summer they are undesirable and cause electricity to be consumed on air conditioning. For example, consider a kitchen-dining room with windows facing south-west with a high concentration of appliances (such as fridges, freezers etc.) working 24 hours during a Mediterranean summer. If such a room is built according to the normal Passivhaus protocol (i.e. with hermetically sealed windows) the “greenhouse” effect – caused by the low glass emissivity that traps solar radiation – and the “radiator effect” caused by the outer walls (as the thick insulation does not allow it to dissipate the excess heat) will add to the heat generated by the electric appliances and the metabolic heat produced by the users (average 100 watts per person) to produce an uncomfortable increase of the room’s temperature. Below we discuss how Passive-On solves just such a problem and improves indoor comfort while simultaneously reducing energy consumption, even in latitudes where energy demands for air conditioning in summer are far from marginal. Italy: End-use Efficiency Research Group (eERG) of the Politecnico di Milano (project coordinator), Department of Environmental Policies of the Province of Venice and Rockwool Italy. Spain: Asociación de Investigación y Cooperación Industrial de Andalucía (AICIA). Portugal: Natural Works and Instituto Nacional de Engenharia, Tecnologia e Inovação (INETI). France: International Conseil Energie (ICE). UK: School of the Built Environment, Nottingham University. The Passive-On project examined the dissemination in Southern Europe of the Passivhaus Institut’s Protocol standards before Italy adopted the EU Directive 2002/91/CE on the energy efficiency of the buildings. As mentioned above, southern European countries need an additional criterion to design comfortable houses not only for winter but also summer as over the course of the year people often have to spend much more money on air conditioning than on heating. Take for example, cities that have been planned without any environmental sustainability criteria and where air conditioning, indispensable for their inhabitants, unfailingly contributes to raising the average temperature by about five degrees centigrade. According to climatologists, future summers will be increasingly hot and sultry while in addition, there is the so-called “heat island” effect caused by enormous areas of urban land being paved with asphalt or other materials that absorb large amounts of solar radiation. Below we present the three goals and five design rules developed by the research team to counteract these problems and improve the summer comfort of buildings. Develop guidelines to assist practitioners (particularly small studios of architects and designers which are very common in southern Europe) in designing low-cost solutions for comfortable and energy-saving passive houses in both hot and cold climates. These guidelines improve on the PHPP software (Planning House Planning Package) as they specifically consider the summer heat loads in buildings and evaluate solutions to achieve passive cooling. spread awareness of the concept of passive houses in the participating countries and among the potential recipients (practitioners and governments) by organisation of technical workshops for architects, planners and designers in each partner country, the publication of a multilingual website and the organization of a final conference involving all the project’s stakeholders. Highly insulated building envelope: The walls of the building must have a U-value of thermal transmittance equal to or less than 0.15 W / m2.K, which means an insulation thickness of between 20-40 cm, depending on the material used. High energy performance of openings: Windows must be made of triple-glazed low-emissivity (U-value: 0.75 W / m2.K), have a solar transmission factor (G) of 50% and highly insulated window frames (U-value: 0.8 W / m2.K). Elimination of thermal bridges: through a proper application of insulation, the linear thermal transmittance (Ψ) must be reduced to below 0.01 W / m K.
Reducing air infiltration: the air exchange rate must be less than 0.6 Volume / h at a pressure of 50 Pa. Forced ventilation with heat recovery air outlet: the continuous supply of fresh air is optimized to ensure indoor comfort. A heat exchanger with high efficiency (over 80%) is used to transfer the heat from the inner air being evacuated to the incoming fresh air, the two streams must not mix. During cold days, the air supply can receive additional heating if necessary. The use of a conditioner to warm up the fresh air situated in a basement can reduce the need for additional heating. Achieving comfort in summer is not easy as today’s cities have many design constrictions, such as high noise levels at night, heat islands and restrictions on the orientation of windows which limit or even prevent the application of some completely passive cooling techniques at night-time (without the aid of installations such as cross ventilation). 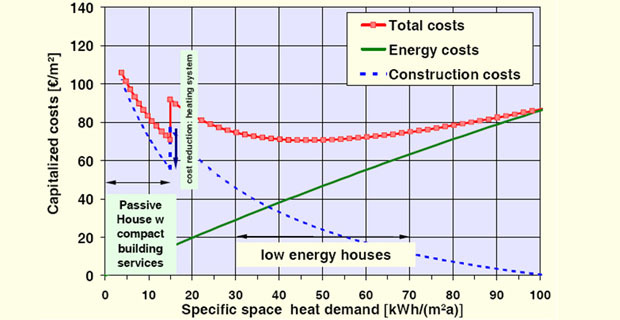 For these reasons, the techniques of active cooling using efficient, low energy installations in highly insulated buildings may represent the most acceptable solution even in summer. Part 1: Principles and Concepts. Part 2: Proposals for each country member of the research consortium in order to reach the Passivhaus standard. Part 3: Comfort, climate and passive solutions. Passive-On Long Description: A summary leaflet of the project and the results achieved. The “lessons learnt” described in the project management documents and published at the conclusion of the two years research is, in our opinion, particularly useful for those who wish to activate a consortium to upgrade to the Passive-On project. This enables improved design of passive houses or supports other initiatives e.g. comfort audits performed by certified energy professionals with traditional instrumentation, or even analysis of the ecological footprint of the building process. The Passive-On researchers have demonstrated that the concepts of the Passivhaus Protocol proved to be valid for making buildings energy efficient throughout the year – even in hot southern Europe. It does this by stipulating thick insulation of the building envelope, minimization of thermal bridges and active forced ventilation with heat recovery, in addition to particular technical devices to limit the effects of heat inputs, e.g. sunscreens and night ventilation for the cooling of thermal masses. The PHPP software constitutes the main tool for the successful design and construction of high-performance buildings or the calculation of a suitable energy balance at the planning stage.